After about 18 months of talking about it I finally bought a 2006 MS6 with 126,000 miles from my buddy. I knew the car wasn't 100% but it did make the 370 mile drive back to my house with very little issue. The A/C wasn't working but recharging it seemed to get to going. However; After I got it home and hooked up my OBD II Scanner to showed that it had the Codes P2004 and P2009, my scanner was unable to look up the ABS codes, which I was told was a bad wheel sensor. Which one is unknown. The other concern I have is how the engine sounds. It seems louder then it should, almost like marbles rolling around. But I am not sure if that is the best way to describe it. I do know it doesn't sound like my truck did when it spun a rod bearing. I think it may need a timing set. I plan on changing the oil and running 10w-40 like I read on here. Then filtering the oil to see if any metal shows up. I plan on tearing the motor apart at some point, but I would prefer it to be because I want to and not because I need to. I did find a TSB about the timing chain stretching and I was wondering how hard it is to replace the timing chain with the motor in the car. Also are there any parts other then Mazda OEM, that would be worth it? Congrats on the speed6. They are a very cool and unique machine. The VVT is a very known issue in that platform and you NEED to do it if you haven't already. They are supposed to be done at 100k if I remember correctly. As far as how hard it is to do in the car, I don't have anything for you there as I haven't owned one (just an admirer here). Yep that is what I have read. I also read they have a chain stretching issue. All the OEM parts are about $400+ dollars. It will soon have Wisconsin plates. Congrats on the new ride. I have never seen a MS6 with RX8 wheels, looks great. It's always scary opening up a new specimen (species) to do heart surgery but if you are prepared and methodical it will turn out great! 1. I have done a little of engine work before, in fact I am currently tearing down the 3.0L from my wagon. I rushed when I replaced the timing chains on that and I am sure the cams jumped timing on the front/even bank, also I not sure how accurate my torque wrenches were or if I even used them because they felt off. Funny thing is I am way more familiar with a rotary engine then a piston engine. 2. 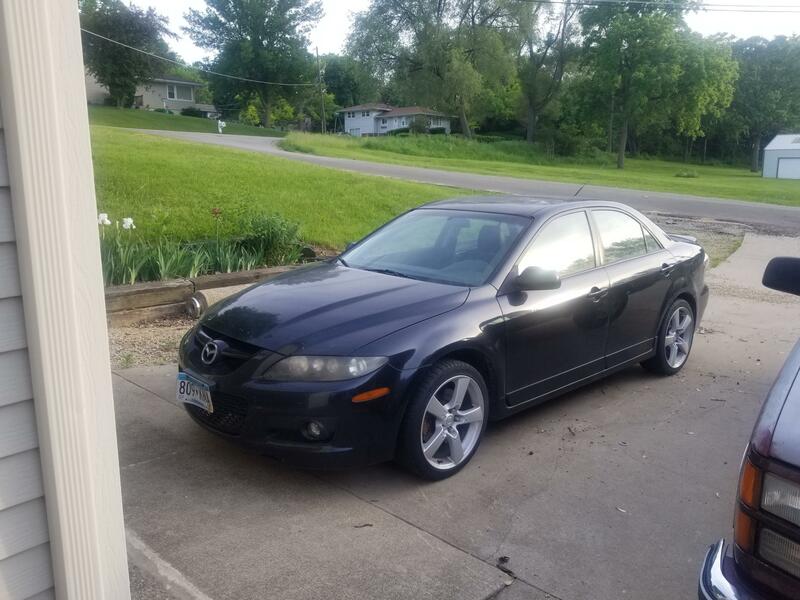 I have a Haynes Manual, and a Mazda manual for the AJ (3.0L) but it is for a 2002, the 3.0L is an 2006, I am trying to find a copy of the Mazda manual for the MZR since it tells me things like what bolts go where. 4. The MS6 currently doesn't have current plates, so it's not going anywhere for a while. I finally got plates on her and started driving her, and she bit rougher then I though.